The essays in this book explore themes as interesting and diverse as nominal GDP targeting, the effect of the global crisis on monetary strategies, the costs of inflation and the question of the "secular stagnation" and the equilibrium real interest rate. 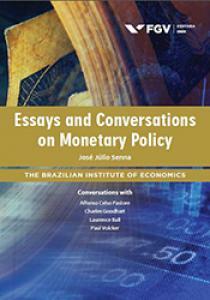 The book also contains the captivating MPM?s interviews with eminent economists and policy makers: Paul Volcker, former Fed chairman; Charles Goodhart, Professor at the London School of Economics; Laurence Ball, Professor at the Johns Hopkins University; and Affonso Celso Pastore, former governor of Banco Central do Brasil. The MPM is a product of the Center for Monetary Studies (CMS), spearheaded by economist José Júlio Senna. CMS is an important part of IBRE (Instituto Brasileiro de Economia), one of the most influential think-tanks operating in Brazil.